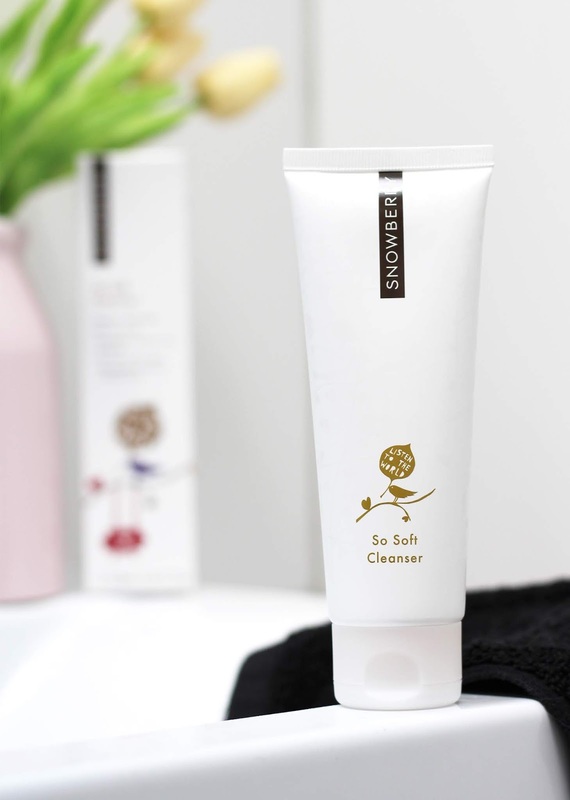 To carry on my week of posts talking about three fantastic cleansers from NZ brand Snowberry, my second post is all about the So Soft Cleanser* designed to be gentle on those with sensitive and acne prone skin. Before you carry on reading, have a skim over my first post here to read a little bit more about the brand and their values. 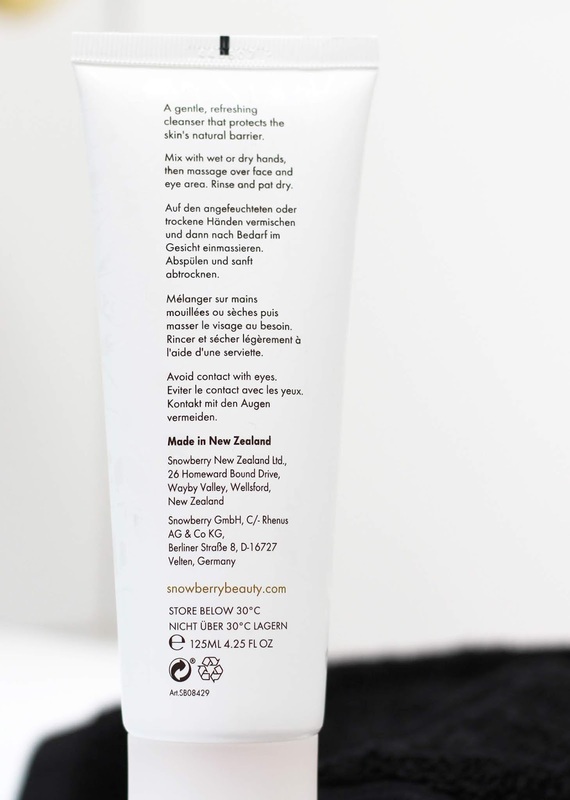 In short, Snowberry is all about providing high-quality skincare products using the latest dermatological studies and best ingredients (of which most are natural and grown and harvested right here in NZ). Finding the right cleanser will totally change your skincare routine for the better - cleansing the skin even if you don't wear makeup, is one of the most crucial steps to help your skin. On a day to day basis, you will be exposed to so much dirt, grime, pollution etc and at the end of the day, you need to wash your face and restore the healthy balance of your skin. 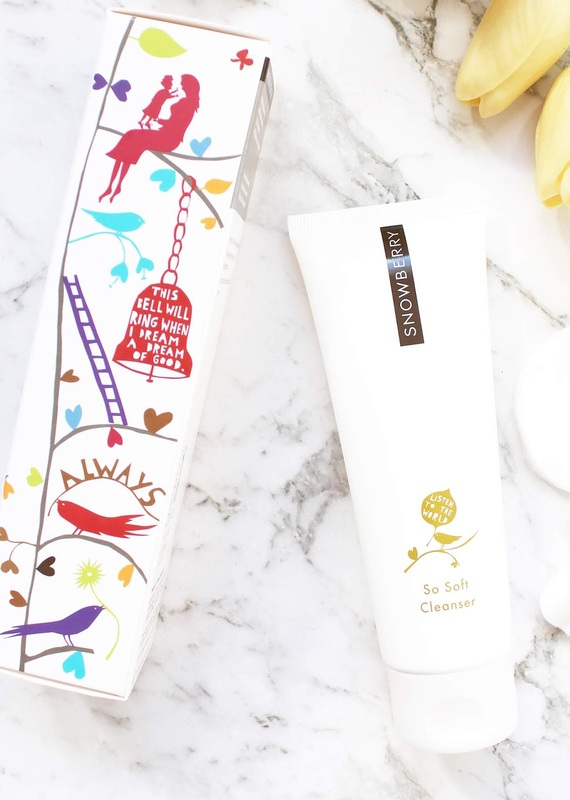 Snowberry's cleansers and the So Soft Cleanser is designed to do just that, it will help to restore the natural pH balance but it won't strip the skin of its natural oils. The So Soft Cleanser can be used by anyone from teens to the elderly - it is formulated to just naturally work with your skin type and is gentle for sensitive skin. It says it all in the name but this does make your skin feel lovely and soft after using it. It can be used day and night and I find it works so well in conjunction with the Instant Deep Cleanser which will help remove your makeup initially and the So Soft Cleanser will act as the second cleanse. This is a very easy cleanser to use; I dampen my skin with a flannel and squeeze a small amount onto my hands and then work it onto the skin and massage it around. On contact with water, it turns into a really light foam and it washes away easily without leaving any residue, instead, it leaves your skin feeling totally clean and refreshed. It is one of those cleansers that you don't need to give a second thought to or worry how it will affect your skin - it is only going to have a positive effect. The So Soft Cleanser is only NZD $29 for 125ml which compared to others available, is a great price point. Snowberry can be found all over the place in New Zealand at most Farmers, and also in pharmacies and beauty salons. A full list of stockists can be found here. They also ship to a number of countries internationally and are stocked in physical stores in China, Germany and the Netherlands. All Snowberry products contain no petrochemicals, no propylene, no volatile alcohols, no artificial colours, no silicones, and no fillers. On Friday, my final post will be reviewing the Gentle Cleanse & Tone - one for those who don't want any fuss but want the best from the products they use. *Sponsored post, all thoughts and opinions expressed are 100% my own.